Clean beds by removing weeds, leaves, sticks and debris. Cut back perennials and grasses and divide as needed. Remove dead wood from trees, shrubs and roses. Cultivate compacted soil and mulch, apply a pre-emergent herbicide to prevent germination of weeds. Edge beds and tree rings. Apply 2″ of mulch (never more than 3″) to landscape beds and tree rings. Keep mulch away from the base of woody trees and shrubs. Remove winter tree wrap if applicable. Have a licensed professional test your irrigation back flow and open your system. 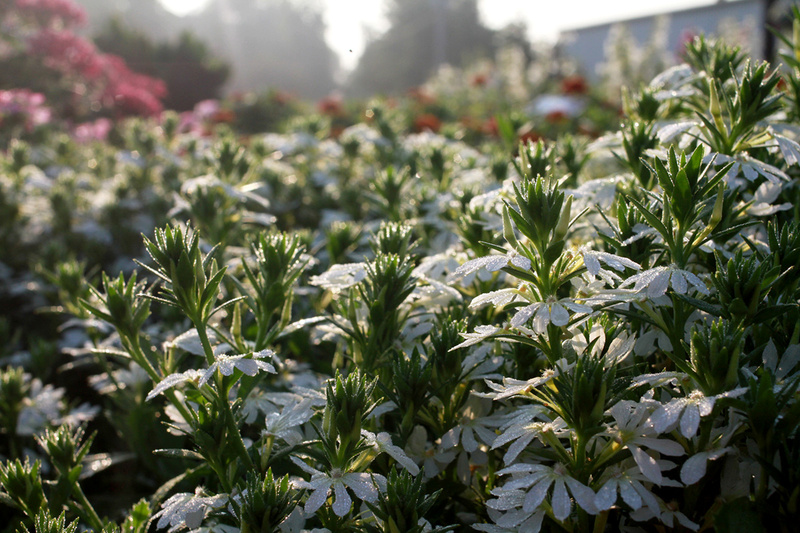 Plan now and make your list of the summer annuals you want. Remember to prepare your beds by tilling in good quality compost. Apply a slow released granular fertilizer. Now you are ready to go! Plant your annuals and perennials and enjoy your hard work!